Art & Observations: No Art This Time: Just the random facts. I am a musician and art-er. I am a bit embarrassed to admit my infatuation with playing music came from the idea that musicians get all the ladies. I got this idea from this scene from Lost Boys. After seeing this scene I promptly begged my parents to let me lease a saxophone to play in the school band at the tender age of 11. As I grew older I started to write music and enjoy the mental exercise it provided; I loved and still love the vast possibilities in this creative environment. My musical tastes and influences include but are not limited to the following genres: Reggae, Rock (roots, progressive, classic, etc. ), Independent, Alternative, Electronic, Classical, Funk, Flamenco, African, Latin, Folk (American and Gypsy), Jazz (in many forms), R&B/soul, Gospel, Hip Hop and the Blues. If I ever record anything I will link it to this blog. I broke my heal bone when I was in the forth grade. It was Super Bowl Sunday and all the adults were at a party. A friend and I decided it would be fun to sneak into a neighborhood girl's house to scare her and her friends. To do this we had to climb onto their roof and sneak in through the balcony door. Let's just say there was not much thought put into this scheme of ours as there was no escape plan. Upon retreat from our scare I jumped rather than get caught. I landed squarely on the grass below with the exception of my heal which caught the cement walk-way below. 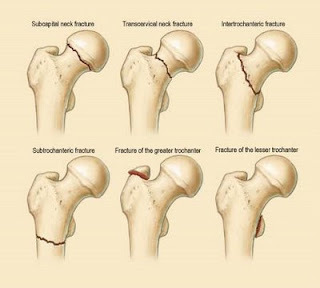 I broke my femur bone just like in the picture on the bottom left. I was riding a wave runner and crashed into another wave runner. I am a living testimony to life-preservers: without one I would have drown. Maybe it has to do with the trauma mentioned in (2) above. I do think it is entertaining I just have better things to do with my time. One the fondest memories I have took place during a Super Bowl: I was surfing during a great swell, no one was out, just as I was paddling into a large, hallow, wave a dolphin jumped within 10 feet of me and we both caught the wave together. This memory makes me think of all the great things that can pass by unnoticed while we sit in front of monitors and television screens. See previous post. There is something to be said about a small commute and being able to see my wife and children at lunch. Although I worked at Starbucks for a while, I hardly drank coffee there. Working with that coffee smell drew me in. I learned how to taste coffee working with many connoisseurs. These days I wont drink Starbucks drip coffee and I only use a french press at home. Here is a link to one of my favorite regional coffees. My wife grew up in Carlsbad, CA. which makes her the only person in Watkinsville from Carlsbad, CA. I grew-up in a hippie-town comprised of surfers and immigrants. I left a city that was nothing like the great place I grew-up. We were being called to move somewhere else but we did not know where. A Friend our ours was moving to Athens, GA. and offered to let me stay with them until I found a job, and that is what I did. Let this be a lesson to people that casually make bold offers: I am living proof that sometimes people take-up the most outlandish of offers. All these blogs are very inspirational to me. Thanks, man! So what are the rules to tagging? I just jot down several facts about myself and tag a few other people? Amazing stories, by the way. I was always curious about 'Musarter', I may have to shed some light on the origins of 'Munchanka'. Good to know more of you Josh. Wow! You are a keen musician & artist too. Sorry to hear that your broken bones’ news but luckily you are fine now. So convenient, good exercise and economic to walk to work, and how lovely to hear that you can meet your family at the lunch break with just a short walk……. That are so many more interesting facts you have shared. There is a giveaway challenge just on from 1/12/08 to 8/12/08. Please drop by when you are free!